I write romantic suspense on the light side. She’s Pallas, named for Pallas Athena, Goddess of Wisdom and War and the Queen of Spades. She’s a financial genius and poker player extraordinaire, in Lake Tahoe to solve a family mystery and win the money she needs to launch her career. She meets Danny Tarantino, a casino owner whose club is his whole life, but someone’s out to destroy it, a situation that threatens Pallas’ plans as much as her attraction to Danny threatens her peace of mind. 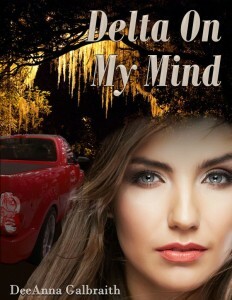 He has enough to handle without worrying about the red-headed beauty he can’t seem to get out of his thoughts, especially when she’s determined to get involved. Together, they find out who’s behind the attacks on Danny’s club and a twenty-year-old murder, but can they stay alive long enough to answer the question: Can a goddess and a gambler live happily ever after? Delta Jameson and Blue Richmond grew up close as kin, sheltered by family and southern values. But they went their separate ways, sure their choices would make them happy. Blue’s come home. He’s mastered the financial world and now hopes to launch a second career and build a family, the whole messy dream. Problem is; somebody doesn’t want him back. Delta’s marriage was a huge mistake. Now on the mend and fiercely independent, she’s fulfilling her dream of a green architecture firm. That dream is threatened when her ex sues her, invoking a clause in their pre-nup that gives him half her business. When the death of a loved one brings Delta and Blue together again, a seventy-year-old secret and a land grant dating to the Civil War throw their lives into chaos and bring newly discovered passions to the surface.